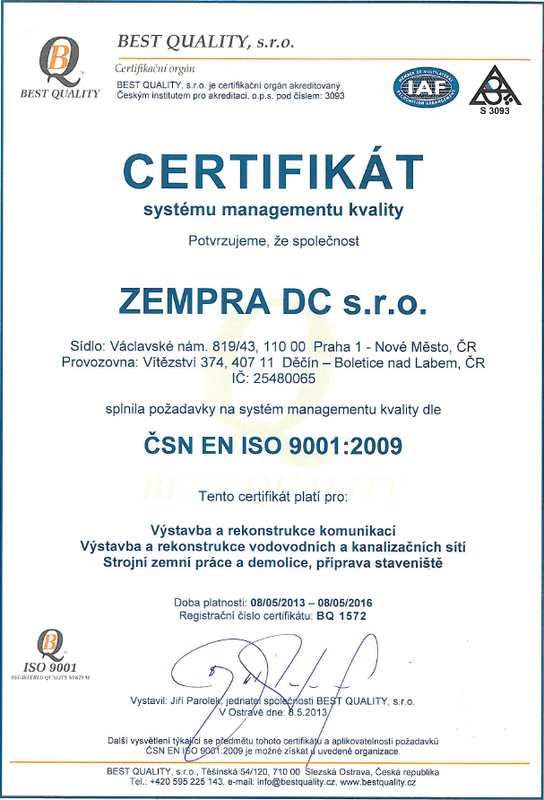 ZEMPRA DC s.r.o. 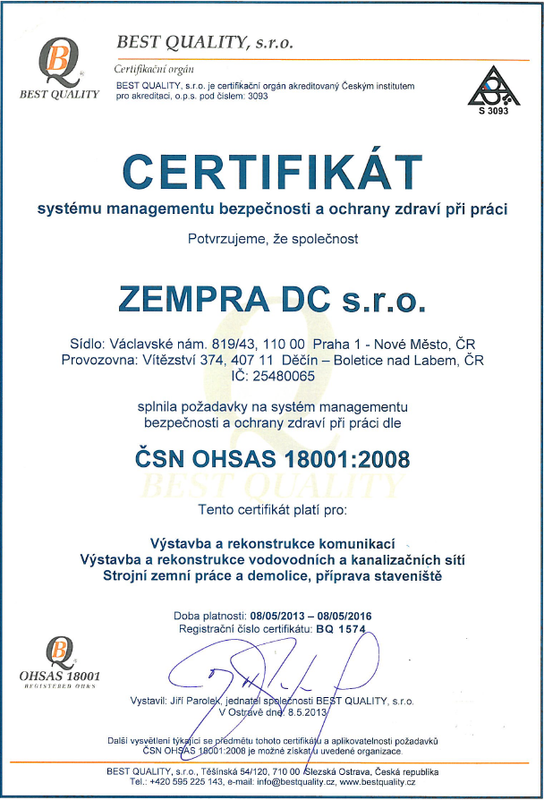 is a successor to the Černý Martin - ZEMPRA company which was established in 1990. Our company has no foreign capital and Martin Černý is the sole owner. We have been financially stable for several years thanks to the quality work done by our team of trained experts. We actively participate in organizing numerous cultural, sports and other events, not just locally but across the entire Czech Republic. We are an important partner and a financial guarantor. 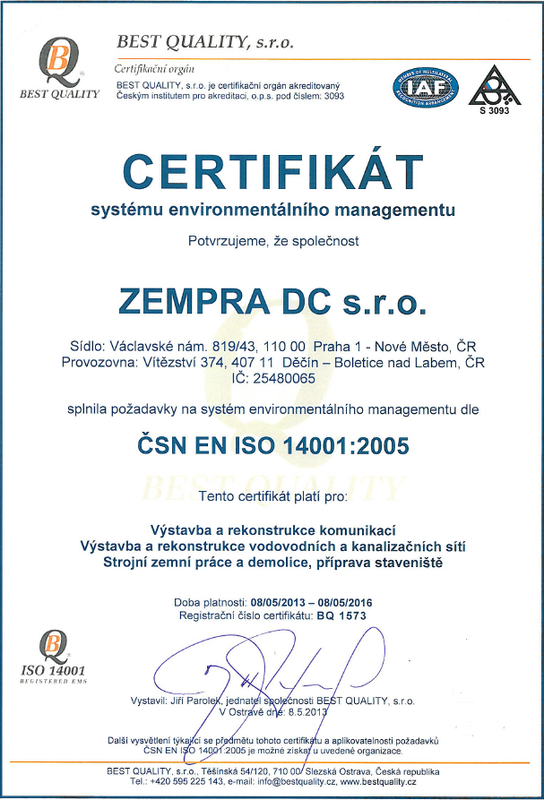 We use certified System of Quality Managament (ČNS EN ISO 9001:2009), System of Environmental Management (ČSN EN ISO 14001:2005) and also System of Work Safety and Health Protection Management (ČSN OHSAH 18001:2008).